Dealing with a sore neck is not just a bother but can also affect your performance at work, your focus in your personal life, and the daily activities you usually enjoy. If waking up with neck soreness becomes a regular pattern, it can lead you to become irritable and more and more desperate to find a solution. Getting relief for your neck pain is a necessary for your all-around quality of life. Finding out why it is happening can help resolve more than just your pain. It can increase the quality of your life, since pain is an indicator of something gone wrong. There are a number of possible reasons for your neck pain, which have been listed below. 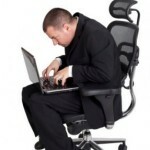 Muscle Tension – If you are required to sit for long periods of time in front of a computer, if you sleep in contorted positions, exercise too much, or have experienced a fall or another type of accident, your muscles may be strained or under tension from overuse or injury of those muscles. Trauma – Any damage to your cervical spine (an area of the spine that includes the upper seven vertebrae) can result in neck pain. This happens because of whiplash, or due to head or neck injuries. Poor Posture – Maintaining healthy posture is foundational for wellness and functionality for your entire body. This means being aware of the way that you are standing and sitting so that your body is positioned correctly. When you practice poor posture, it can cause weight displacement throughout the body, which can result in neck pain. Consider whether you have experienced some kind of head or neck injury in the past, or if you have exposed your neck to repetitive awkward movements such as from your sleep position or holding a phone between your ear and your shoulder. All of these can eventually lead to some changes in your spinal alignment. If the problem is the result of an injury, it may have happened many years in the past, but the problem took time to develop in severity. It is not uncommon for old injuries to resurface after years of being untended. No matter what your history, if the underlying problem is due to a misalignment of the cervical spine, immediate relief could be only one upper cervical chiropractic visit away. The reason for this is that when the vertebrae in this area shift from their proper position, it places stress on the brainstem and interrupts communication between the brain and body. Th good news is that here at Advanced Spinal Care, we specialize in the knowledge and methods necessary to restore this type of alignment and get you back to living life free of neck pain. We invite you to call us for a free consultation to see how we can best meet your specific needs.